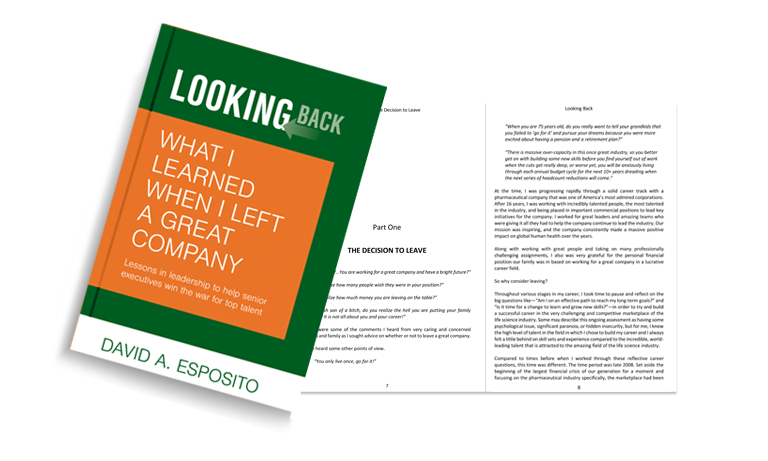 In early March, I will be releasing my book, Looking Back – What I Learned When I Left a Great Company. There is a section of the book that discusses market forces in healthcare that are beginning to shift the foundation of healthcare in the US and across the developed world. In follow-up to last week’s Weekend Reflection of Leaders Part #1 message on the role of AI and predictive analytics rapidly changing healthcare, this week’s message focuses on another dominant force changing healthcare today. As senior executives and the top talent on their teams prepare to build a sustainable business in the years to come, these market forces need to be accounted for in their plans. Even though I describe these forces in the context of healthcare, these forces are making a meaningful and measurable impact on just about every industry today. Most large companies in the United States are self-insured and many innovative and forward-looking companies are aggressively looking for more efficient systems to better manage healthcare for their employees and families. Many of these companies account for millions of patient lives in the United States and as they make dramatic decisions to change the system, the inefficiencies in healthcare as we know it today will rapidly disappear. The strategic thinking and absolutely brilliant minds running some of the most forward-thinking companies in the world that bring forth innovations to improve our lives in so many areas, along with the capital to scale virtually overnight, will rapidly bring that innovation to address the inefficiencies in healthcare. The announcement of Amazon, J.P. Morgan, and Berkshire Hathaway teaming up to make healthcare more efficient and effective is just the tip of the iceberg that will drive massive change in traditional healthcare. The efforts of the innovative leaders in these companies and others like them will change the healthcare landscape in years rather than decades. “On the question of healthcare…if you zoom out into the future and you ask the question, ‘What was Apple’s greatest contribution to mankind,’ it will be about health. We are taking what has been with the institution and empowering the individual to manage their health. And we’re just at the front end of this.” Tim Cook, CEO of Apple. Healthcare product companies need to be proactive and aggressive in building products and services that meet the needs of those shaping healthcare for tomorrow as the demise of traditional healthcare is rapidly approaching. If senior executives in healthcare product companies are building company and product value propositions focused on the traditional decision makers like pharmacy and therapeutic committees in health systems, the health economic requirements of insurance companies, and government agencies, etc., without putting a premium on understanding the needs of the future decision-makers in healthcare (the leaders of innovative, non-healthcare, self-insured companies), they are putting their company’s future growth at significant risk. As senior executives prepare their 3- to 5-year strategic plans, if the over-arching theme, when you strip away all the great business school buzzwords and window dressing, leaves you with the simple, parochial strategy of just doing what we have been doing a little better and more efficiently in the future, then it will be the beginning of the end of a once great company. The forces of change presently addressing healthcare will not be kind or patient with those leaders who maintain a death-grip on an inflexible, traditional healthcare model. Senior executives and the top talent on their teams need to allocate a significant amount of time and attention to proactively addressing these market forces in order to minimize the risk of leading a once great business into a steady decline into the future. In early March, I will be releasing my book, Looking Back – What I Learned When I Left a Great Company. There is a section of the book that discusses market forces in healthcare that are beginning to shift the foundation of healthcare in the US and across the developed world. The next two Weekend Reflections for Leaders will contain a short summary of the two dominant forces changing healthcare today. As senior executives and the top talent on their teams prepare to build a sustainable business in the years to come, these two market forces need to be accounted for in their plans. Even though I describe these forces in the context of healthcare, these forces are making a meaningful and measurable impact on just about every industry today. visit in all major chronic disease categories. In addition, these same software tools are addressing the difficult areas of cancer and mental health in both diagnostic and therapeutic intervention decisions. Predictive analytic tools currently in the market today are making decisions faster, cheaper, and more effective than any current healthcare delivery system on the planet. Healthcare product companies building financial models on market size for a new drug, device, or diagnostic based on traditional population statistics and current market models will soon be viewed as misguided when software reaches a tipping point to drive the majority of healthcare decisions. For traditional pharmaceutical and biotech companies, the emergence of digital therapeutics (or digital medicine) is upon us. As the regulatory agencies begin to approve digital therapies as monotherapy to treat chronic conditions, the age of “software as a therapy” is real and present. The rapid growth of digital therapeutic companies and “software as a device” technologies are emerging as a significant threat to the traditional healthcare players. It is not just the sales and marketing models of these new companies that threaten established players. Many similar AI and predictive analytic tools are being deployed to accelerate drug discovery and optimize manufacturing processes. The time and cost to develop effective digital therapies is drastically different than the current traditional models of drug discovery. The scalability and rapid deployment of these digital therapeutics that do not need traditional sales and distribution channels are creating a real threat to the entire infrastructure of traditional healthcare. The unspoken comment in the minds of many players in some traditional businesses over the last 20 years that went something like, “I have just been NAPSTERed, AMAZONed, or UBERed out of a job” has finally come to healthcare. The large commercial teams and R&D teams of most healthcare product companies need to address how they add value in a world where software tools drive most healthcare utilization decisions of potential customers and there is a rapid decline in the time and effort of human insight into patient care decisions. As the financial impact and patient health outcomes get better through software-based patient care decisions, where will leaders and teams be in 5 to 10 years? Look no further than someone in the record industry 20 years ago, someone in retail over the last decade, etc. Please don’t think it won’t happen in healthcare…it is already happening if you look close enough. The continual debate about the unsustainable growth of healthcare costs will meet its likely end as software-based decision making becomes more fully deployed and costs are dramatically reduced through the removal of inefficient and costly human interventions still hanging on in traditional healthcare environments. silhouette of virtual human and nebula cosmos 3d illustration , represent scientific concept of brain creativity and artificial intelligence. Let’s face it, we live in a noisy world and it seems to grow noisier each day. Our “always on” smart phones provide a steady stream of information, we have access to an over-whelming amount of data points to inform key business decisions, and we have the efficiency of instantaneous emojis via social media to quickly assess the impact of key messages. 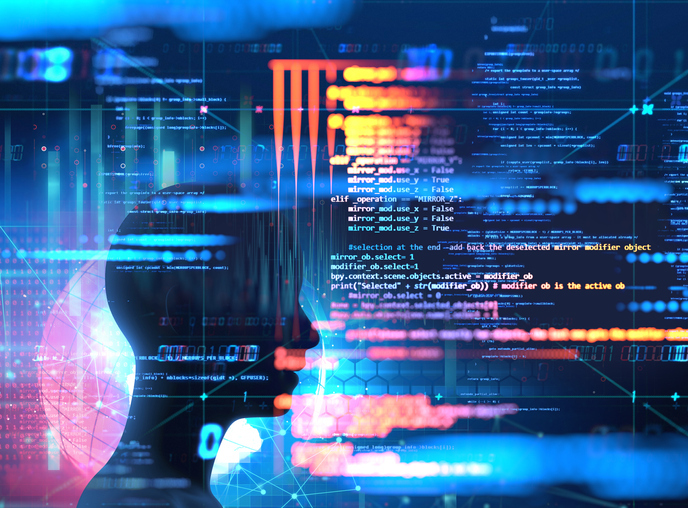 As senior executives and top talent look to leverage artificial intelligence and predictive analytics to efficiently sort through volumes of data, there remains a premium on the need for leaders to still make time to get quiet, with and without their teams, to assess near term plans and performance, and to assess the viability of their long-term strategy for the business. Regardless of personality types and social styles of introverts vs extroverts, the need for quiet reflection to create the capacity to think, process information and make key decisions remains essential to improve leadership effectiveness. Today’s difficult business challenges are too complicated for the simple solutions of yesterday and by the way, those simple solutions have already been replaced with a computer algorithm. It is the tough business challenges that remain for leaders to solve. 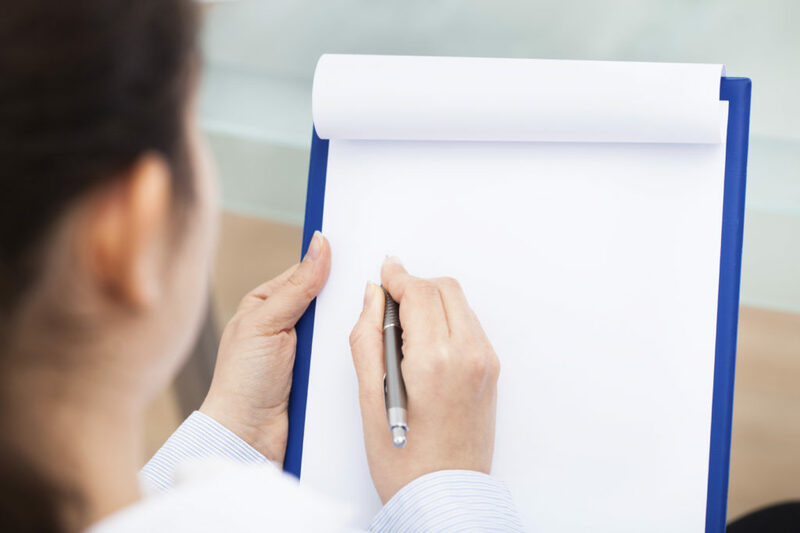 Beyond the routine cadence of most companies that support standing meetings for business planning, performance assessment, financial updates, talent reviews etc., there is a need for leaders and teams to get quiet and think. Healthy Mindset: Enabling time to get quiet to process information and decompress leads to a healthier mindset. Often the emotions of the moment inhibit clarifying the key issues at hand. Enabling time to get quiet can minimize overriding emotions in the moment. Limits Pre-Judgment: The practical reality with teams working together over time is that there is a strong tendency to quickly pre-judge points of view on new information. Creating space to get quiet with new data points will help to minimize the momentum of pre-judging the new information that can keep blinders on most teams. Reconnect with the Mission: Allowing time to get quiet prior to making major decisions enables leaders to reconnect with the mission of the business. Reinforcing team alignment around the mission is critical and in the heat of the moment, with an overwhelming amount of data to process, leaders and teams need to reconnect with the mission to ensure all decisions are well-aligned to the team’s ultimate direction. Healthy and rigorous team engagement around key business challenges is critical to the survival of the business. However, most companies already have a good cadence of pre-set meetings to engage teams in rigorous debates on the issues. 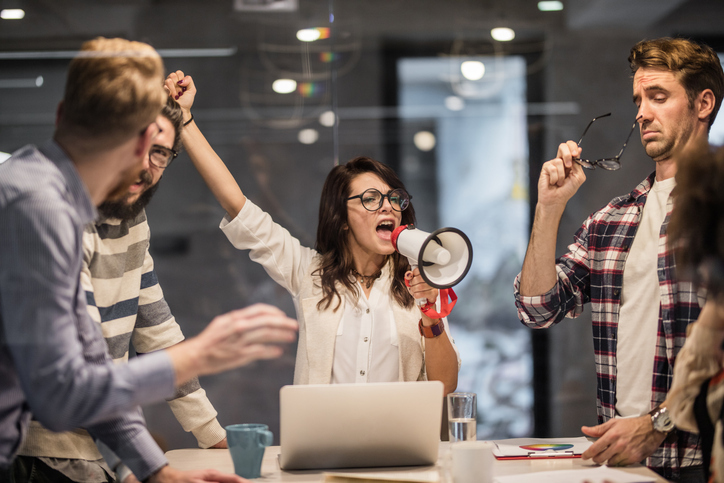 Senior executives and top talent need to be intentional about creating space to get quiet to improve critical decision making for themselves and their teams. Getting quiet in our noisy world will continue to be a struggle for leaders, but it is well worth the effort. Young woman shouting through megaphone while having a meeting with her colleagues in the office.